Henry "Monty" Montague was bred to be a gentleman. His passions for gambling halls, late nights spent with a bottle of spirits, or waking up in the arms of women or men, have earned the disapproval of his father. 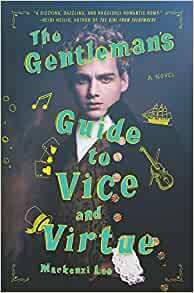 His quest for pleasures and vices have led to one last hedonistic hurrah as Monty, his best friend and crush Percy, and Monty's sister Felicity begin a Grand Tour of Europe. When a reckless decision turns their trip abroad into a harrowing manhunt, it calls into question everything Monty knows, including his relationship with the boy he adores. Join us for lively discussion, coffee and snacks! This book club is for any adult that loves reading young adult fiction. Books are available for check out at the library.